Because changes in the updated interim guidance for pregnant women may lead to fewer pregnant women without Zika symptoms being tested, it is critical that pediatricians ask about potential congenital Zika exposure for every newborn. 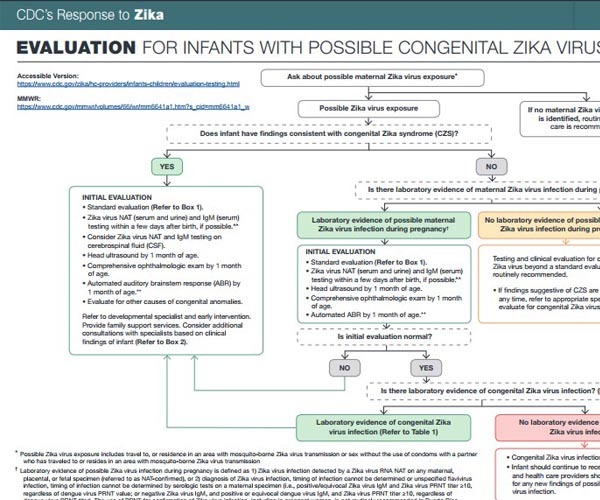 All infants born to mothers with possible Zika virus exposure during pregnancy should receive a standard evaluation by a healthcare provider at birth and at each well-child visit. This flowchart (available in an accessible text version) can help providers conduct a comprehensive assessment.